That's just the way they were made by the artists at PDX. It's supposed to be the light reflecting of their skin. Hey Tubbs, would it be ok to delete the the other gfx portrait files in CO to get the BF portraits, or would that cause a mess? 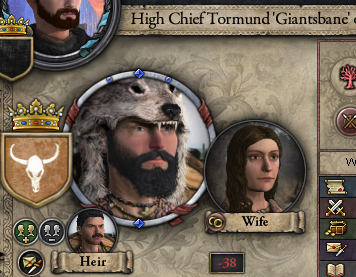 Because the CO gfx files are the exact portraits that are vanilla whenever I try to play, and since I've deleted the valyrian CO gfx file Valyrian portraits are BF. Yep, you want to delete all the portrait_whatever.gfx files, except for the "portrait_sprites_CO.gfx" file. Hi Tubb, I made a couple of sub mods for your sub mod. 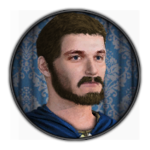 It annoyed me that the andals had the same base gfx as the first men so I made an edit that changed andals (vale, riverlands, west, crownland, reach and stormland) portraits to German. Northmen, ironmen and sistermen still have english base portraits but I gave the free folk celtic portraits as I feel they match better. 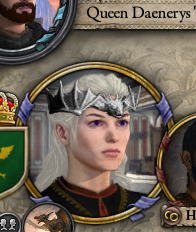 I also made another mod that changed Daenery's face so she looked a little better than the default frankish valyrian dany. When making the mod, I felt that there would be little difference in appearance between the First Men and the Andals at this point in history, it would make sense if they looked significantly different during the Andal invasion era. In my mind, the only strong differences would be cultural rather than in ethnicity, hence the different hairstyles, though descendents of the First Men would likely have thicker or curlier hair. Also, I don't like the older DLC portaits, like the Celtic ones for example, they just don't look as good as the newer ones, so my decision to not vary the Andal and First Men was probably a little biased. Version 2.2 with the new Shadowlander portraits is up. 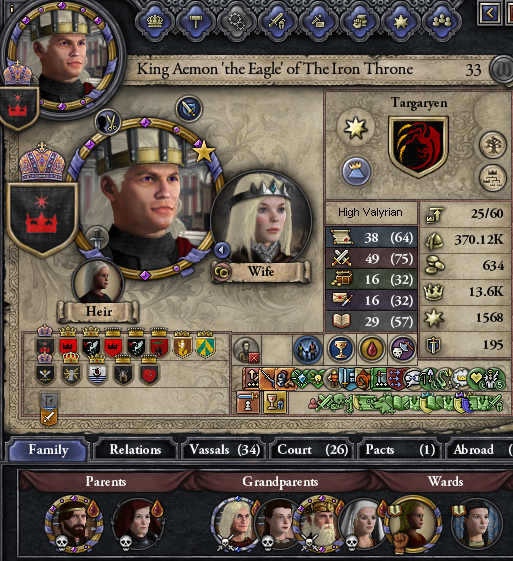 Could you please make a version where High Valyrian and Westerosi portraits are germans based? You need one of Tubb's Better Faces sub mods, but this should also work with the sub-sub mods I posted earlier. When you refer to westerosi are you just talking about the andals and northmen? or do you want the iron born, free folk, sistermen, salt, stone and sand dornish or any combination of those to have the german faces? 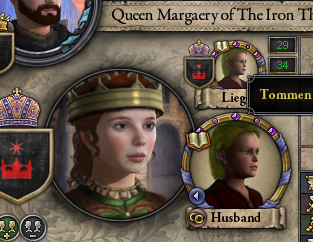 I like your mod but i wish to change some portraits. I really like what CPRplus did with the faces but i dont think it will be updated to AGOT any time soon. Is it possible to implement cpr faces to your mod. Lets say i want to use cpr norman faces for andals. Is there a not too complicated way to do that? 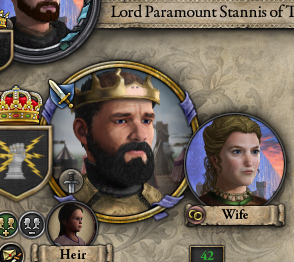 If you go to mod\AGOT Better Faces\interface\portraits and open portraits_valyrian.gfx, scroll down to the Valyrian Female section, and then paste this ":p5:c6" (with the quotation marks)underneath the line that says "GFX_valyrian_female_hair_behind:p1:h:y" for each Valyrian Female portrait (i.e. young, midage, old). That should fix it, though only for Valyrian females. It'll be fixed for everyone in the next update I release, currently working on each Andal culture having their own hair/beard styles, but I'm not sure how long it'll take me. I did exactly this but the portrait still looks the same.